The Mississippi river town of Hannibal, Missouri is best known today for being author Mark Twain’s childhood hometown, where he lived from ages 4 to 18. He incorporated many of his experiences growing up in Hannibal, as well as some local inhabitants, in his famous novels The Adventures of Tom Sawyer and Adventures of Huckleberry Finn. We spent a night in Hannibal last April and although many stores hadn’t yet opened for the summer season, we enjoyed a great meal at Labinnah Bistro (the restaurant is in the front room of a Victorian house), walked down historic Main Street and along the Mississippi River, climbed up the bluff to the Mark Twain Memorial Lighthouse (views of the Mississippi and the historic downtown), and visited the Mark Twain Boyhood Home & Museum (make sure to allow some time for the museum located a few blocks away from his home). 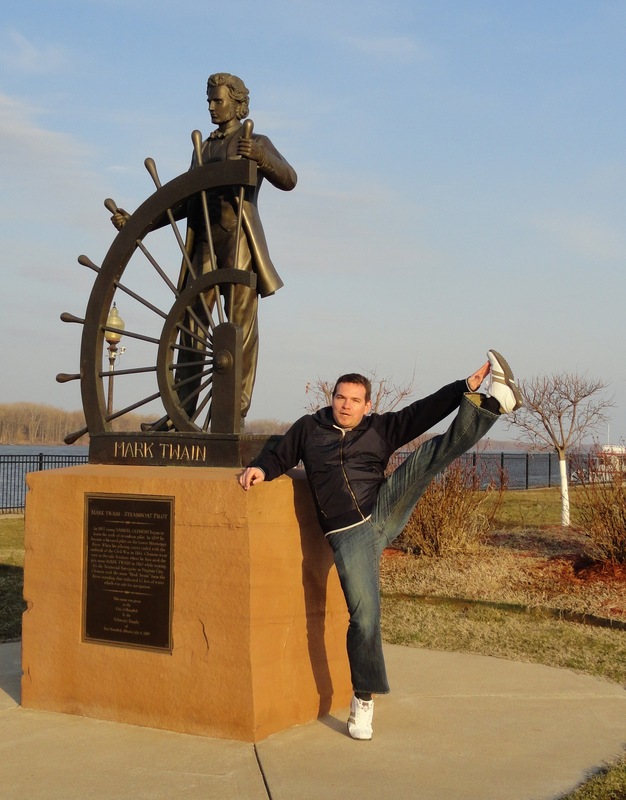 This entry was posted in High Kick Photos and tagged Hannibal Missouri, High Kick, LaBinnah Bistro, Mark Twain Home & Museum. Bookmark the permalink.